Hi y’all!! Billie here! 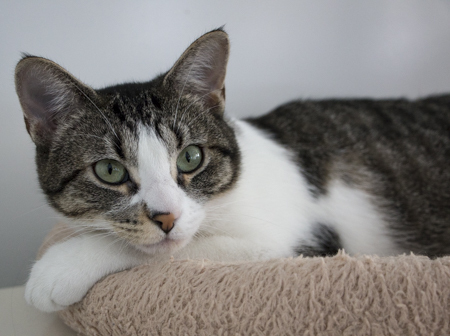 I’m a fun lovin’ 2 year old gal who has been known to have a rip roarin’ good time with my toys in the cattery. I am independent but loving and I do great with other animals. You will never be bored again with me at home to entertain! Am I the delightful, silly girl you have been looking for? Come for a visit at the Pixie Project cattery where I currently reside. I am fixed, vaccinated, and microchipped. My adoption fee is $100.